Along the western jetties and piers of the city are the Kobold Docks, a moderately large wooden pier where boats can be purchased or rented from Jotel Vuzen, a “sahuagin out of water” if you will. Jotel acts as the agent for a few shipwrights and Xughon Belpar, a pirate who acquires his trade goods in an entirely illegal manner. Generally Jotel has d3+1 smaller boats at the pier, and 1d3-2 larger craft in the harbour. He also often has a few smaller stolen goods in his tent on the pier that he sells on commission for Xughon, mixed in with the various apothecary goods that his elven wife Phyehni collects and sells. Of course, with all these goods of questionable provenance moving through this area, any time that player characters find themselves buying something here there’s the off chance that they will get caught up in some other drama involving people threatening Jotel or his clients to get their goods back (or in a real twist, these are con men trying to get something for nothing based on figuring out Jotel’s dirty dealings). 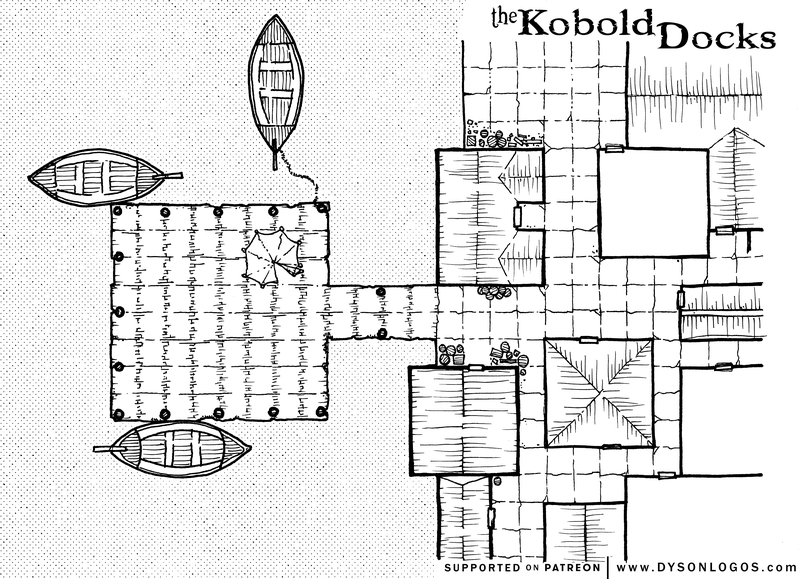 The pier is known as the kobold docks because the previous business before Jotel set up here was a small enclave of six kobolds who made wickerwork coracles used by some of the local fisherfolk. 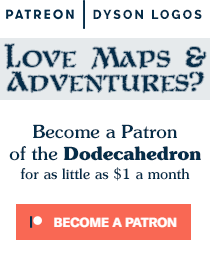 But the kobolds moved on as the fisherfolk earned more money and were able to purchase or build more sturdy boats that didn’t need regular replacement. A version of this map also appears in the Kobold Press adventure “Monkey Business” where it is set in the City of Brass.